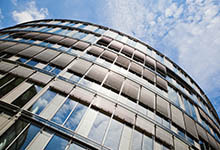 Commercial real estate transactions and matters can encompass a wide variety of issues and scenarios. In Massachusetts and New Hampshire, commercial real estate can entail shopping centers, retail space, large scale investment opportunities and any other non-residential property. Whether you are an individual entrepreneur or you are part of an investment team, you should have expert and knowledgeable representation for any and all legal matters related to your Massachusetts or New Hampshire commercial real estate dealings and holdings. The law firm of George C. Malonis is your local source for the most skilled and comprehensive commercial real estate law services. When you embark on a commercial real estate deal or venture, there can be any number of complexities that arise that can stall or inhibit the growth, success, or even the launch of any commercial real estate enterprise. When you have a local commercial real estate attorney who fully understands the local and state codes, permit issues, and viewpoints of the community, you can feel secure in the results that attorney can garner. As a local firm, the law firm of George C. Malonis is a Massachusetts business attorney who can negotiate with town officials, represent your business or project at local meetings, file all necessary documents and request, help ensure all codes and permits are obtained when needed, and negotiate with vendors, developers, construction companies, or any other entity. In Massachusetts or New Hampshire, historical and environmental codes and regulations can make it difficult to get some commercial real estate projects out of the planning stages and into the actual building stages. With extensive knowledge of the area and all environmental and historical codes and regulations, the law firm of George C. Malonis can ensure the project or deal goes according to plan and as smoothly as possible. Any kind of commercial real estate transaction or venture can be a massive undertaking and require a great deal of time and energy. The process can be more than complicated, it can be overwhelming. But with the guidance of corporate law attorney George C. Malonis in your corner to protect your interests, you can focus on the journey forward and the big picture. We will focus on your legal needs and work tirelessly to make sure all of those needs are met. Contact a commercial real estate lawyer today. Call 978-453-4500.